"This book provides compelling evidence of the lively current state of biographical studies and its power to raise new questions about the nature and course of historical change by focusing on the relationship between individual determination, creativity, or enterprise and larger social, economic, and political forces." Hans Renders is Professor of History and the Director of the Institute of Biography at the University of Groningen in the Netherlands. His publications include Theoretical Discussions of Biography: Approaches from History, Microhistory, and Life Writing (2014). He is the cofounder of Biographers International Organization (BIO), the Vice-President of the Biography Society/La Société de Biographie and a jury member for the Plutarch Award for best American biography. 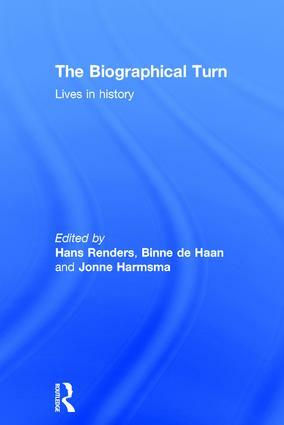 Binne de Haan is a research staff member of the Biography Institute at the University of Groningen. His publications include Theoretical Discussions of Biography: Approaches from History, Microhistory, and Life Writing (2014), and an English translation of his PhD thesis Van Kroon tot Bastaard (From Prince to Pauper: Biography and the Individual Perspective in Historiography) is forthcoming. Jonne Harmsma is a PhD researcher in the Biography Institute at the University of Groningen and is working on a biography of the Dutch Prime Minister and Central Bank President Jelle Zijlstra.